Are Family Photos Still a Thing? Family photos can happen any time, but all-clan snaps seem like an imperative around the holidays. Does your family still do them? Is it a last-minute smartphone camera affair or do you have an aunt who busts out a DSLR? 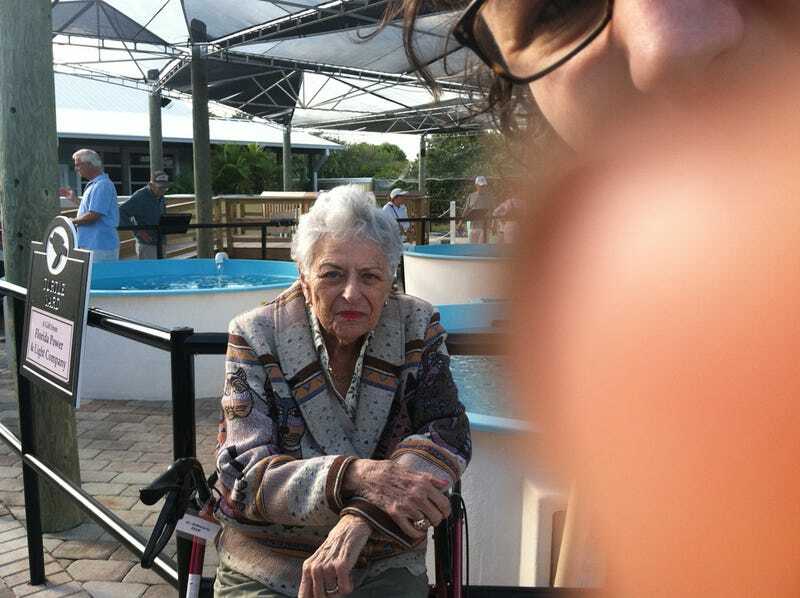 The picture above was supposed to be one of those three-generations-in-one-photo photos. That's my grandma (still lookin' fly at 90), and my mom is trying to set the timer on her point and shoot camera so she can jump in the picture. And that's me being called over to help (we're at a turtle rescue center in Florida for reasons that are not important). But what about wrangling big groups? Do people shoot video on their phones? Or is all of this just corny? How did your photos come out this year? Get in the picture below.